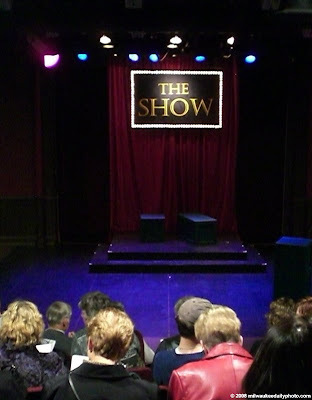 This afternoon, we attended Intandem Theatre's production of "The Show". This irreverent look at the holidays and all its traditions was a hilarious group of sketches. The Show runs through next Saturday, so get down to the 10th Street Theatre and see it if you can.